The meaning of translation is the essence of the words, because the translation is actually what the words mean. It may take a long time as a translator and will need to make rigorous efforts in your career to develop expertise in key subjects which are of paramount importance for enterprise translation. This translation process includes concepts from different areas such as technology, science, law, business, finance, music and similar areas. These concepts if already acquired, increase the ability to accurately transfer the concept into various languages. Regardless of the area that need you need to study as a translator, it is good to deepen your knowledge and be more informed. In every case of your engagement it’s not important how many languages you speak but how much you possess them. Translation is not just a mechanical conversion of the word in question. We need a certain degree of imagination in the translation to capture the true essence of the text. In the end, the meaning of translation is not something you can express simply translating a text word for word. Translation is not just a game of words and language. Words are only symbols that are manipulated to describe an environment or action. They are something like images which are transferring the concept or basic idea of ​​a specific project. From this we conclude that the translators do not perform translation only through the transmission of language and words, they convert ideas to convey the essence of a text. That should be the actual meaning of translation. The same happens to the business plan. We transformed our ideas in complex activities that will bring benefits along with their transmission. This process we call trade market transfer. And it is not only important that we understand these ideas, but to know what the target audience wants and interpret our idea in an understandable way for them. If our idea is perfectly clear to us, but the translator’s solitary focus is on language and knowledge of languages ​​rather than knowledge of ideas, in the real world these translations can be disastrous and the meaning of translation is completely lost. This usually happen to beginner translators who despite their well-intention-ed efforts to perfect translation and knowledge of a language, have nothing else. That can be called deficiency of a sense of the purpose of the content. So it’s not only enough to speak a language, but to have a way to transfer that knowledge. Translation jobs offer endless challenges. Even the most experienced translators at least a few times in their career will face some uncertain territory around their subject. In such a case it is necessary to engage the help of their expert colleagues who have greater expertise about the subject. They can help each-other through the process of review which will ensure the quality of their work. 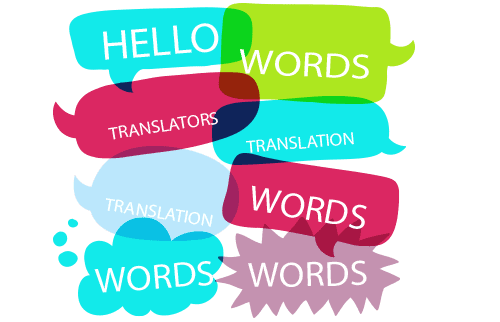 Always keep in mind that translation is about words that are related, and to illustrate your idea you should use the true meaning of those words that will convey your idea in the real world in an appropriate way. That is the whole meaning of translation.